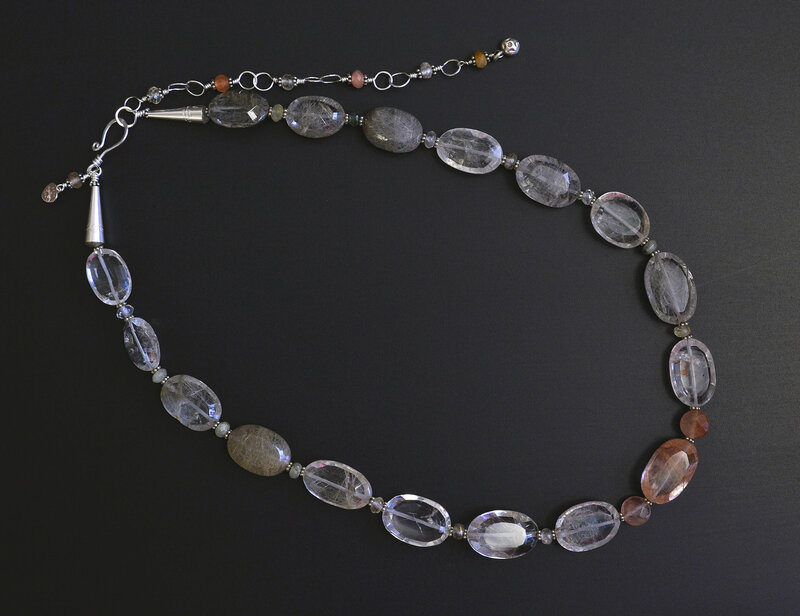 These striking faceted Rutilated Quartz beads make a subtle power necklace which complements virtually any garment. It is easy to get lost in the depth of these stones. 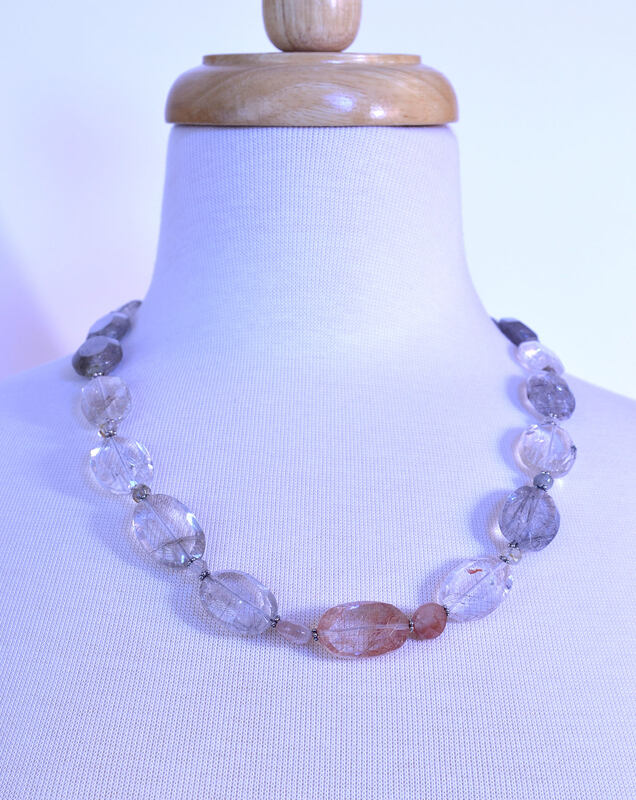 Each is different, they display many colors of rutile and shimmering phantoms. One stone (adjacent to the reddish center stone) even seems to have a minute goldfish in it! Rutilated Quartz is said to be more programmable than plain quartz. Perhaps this is the reason you will see many stone vendors wearing it to help promote their business. Doreen Virtue mentions it is a clairaudience stone. Hall mentions "in past-life healing, it promotes insight into the core issue." 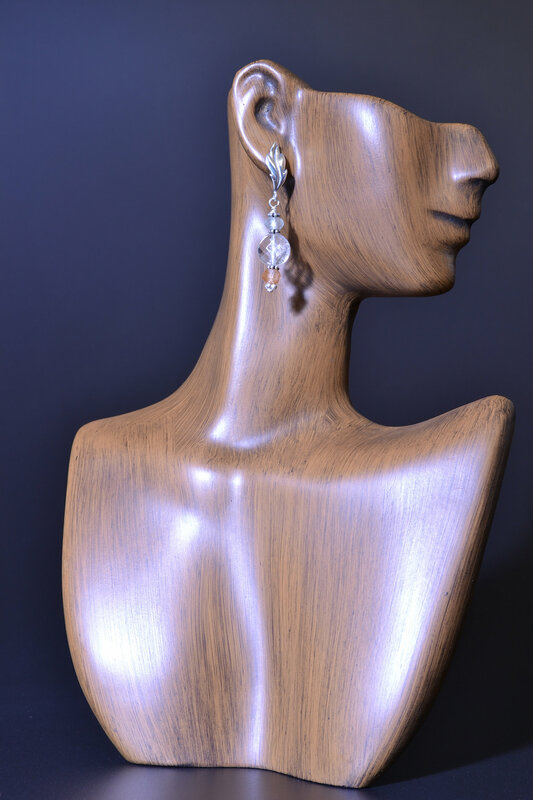 Please order the set and enjoy wearing these mesmerizing crystals.